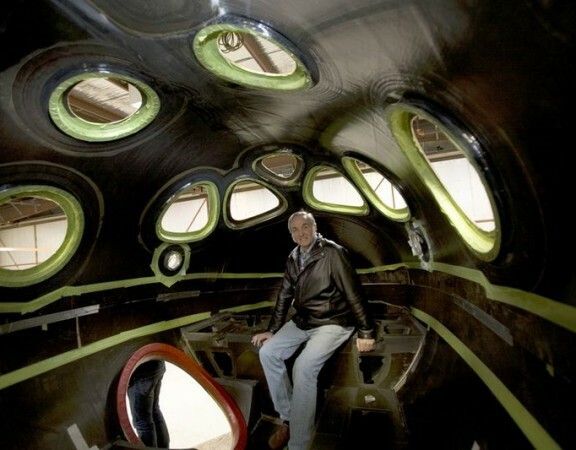 Today I want to look back at an event in history that is unique, and very special, for those of us who are fans of architecture and aviation. Come with me know as we look back in time and then look forward to see how that history was brought alive, and preserved, so that those who will follow in our footsteps can reach out and touch the past. Pan American opened the first hangar in 1931. 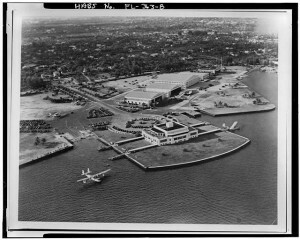 The first passenger “terminal” at the Dinner Key seaplane base was a houseboat obtained in Havana, Cuba, towed by tugs to Miami and anchored to pilings with barges at each end. That same year expansion of the facilities at Dinner Key was undertaken. Additional land was filled in, and a deeper channel, one mile long and 700 feet wide was dredged. The dredging of the channel was a significant event, marking the first time an appropriation was approved by the Congressional Rivers and Harbors Committee “expressly for dredging to create a navigable channel for marine aircraft.” The present terminal building and several additional hangars were also constructed during this period of expansion. By 1938, all major structures called for in the plans were completed and operative. During World War II, the Key again served as a base for the U.S. Navy, as well as continuing to serve the needs of international air travelers. With the appearance of landing fields in Latin America came a decrease in the need for seaplanes. Pan Am’s final flight to Dinner Key took place August 9, 1945. The two-story terminal building is rectangular in shape with one-story extensions on each side, white stucco exterior walls and a flat roof. Extending around the building just below the cornice is a frieze of winged globes and rising suns, connected at the corners by sculptured eagles. A restaurant and cocktail lounge originally existed in the building, and takesoffs and landings were observed from an outer promenade on the second floor. At the first-floor level were waiting rooms, an international mail office, customs, public health offices, immigration and ticket counters. 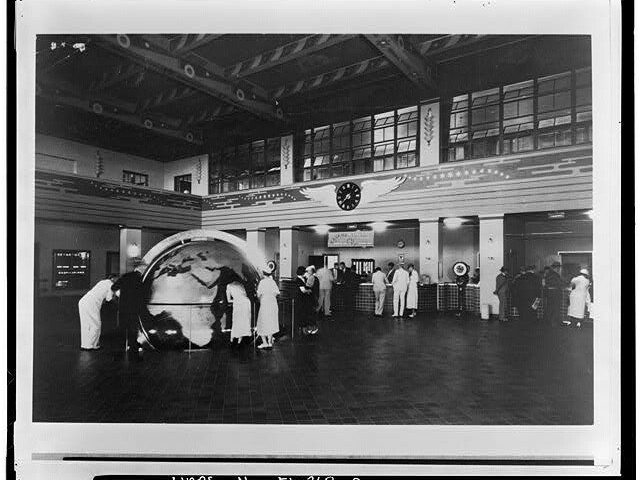 A giant, three-and-one-half ton revolving world globe in the lobby once attracted thousands of visitors to the building. 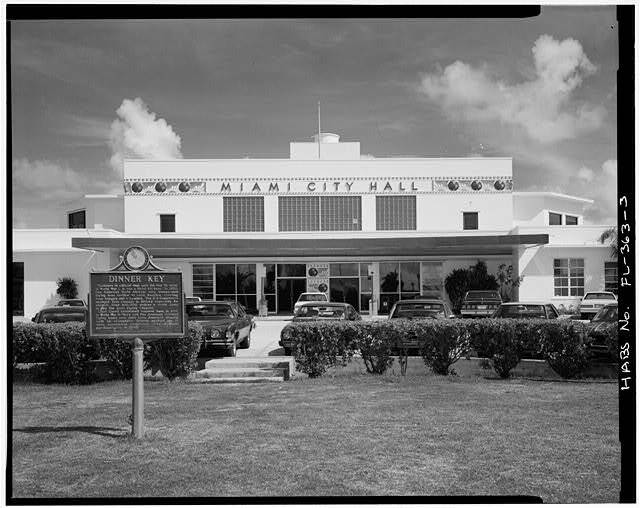 In 1946, the City of Miami purchased 39 acres of the Dinner Key site. 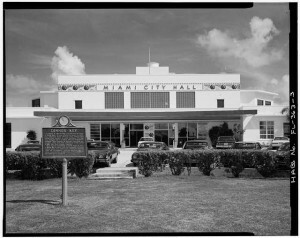 In 1954, the terminal building was adapted for use as the Miami City Hall. Recent renovations to the building include restoring the original decorative features of the terminal including the beams, wall murals and ceiling, which consisted of panels depicting the signs of the zodiac painted in a modern style. The murals near the ceiling depict the history of flight from Leonardo Da Vinci’s designs to the Clipper planes flown by Pan American. 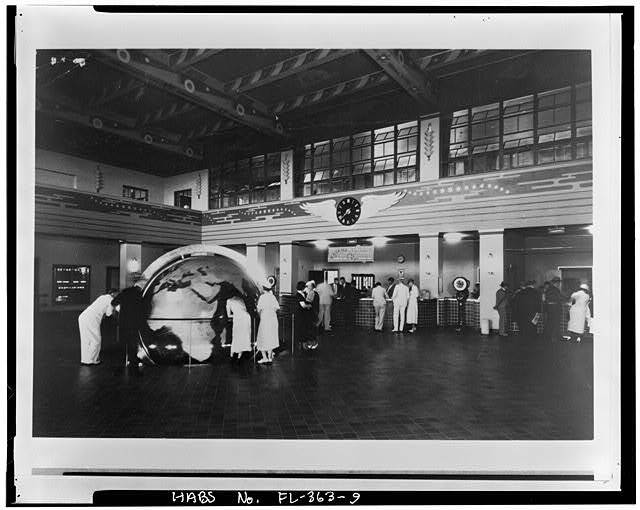 Although the underlying vision of Pan American Airways’ Dinner Key air terminal was very much governed by the practical needs of Pan Am’s flying boat operations, the care taken with the design was the result of the project’s architects, the firm of Delano and Aldrich. 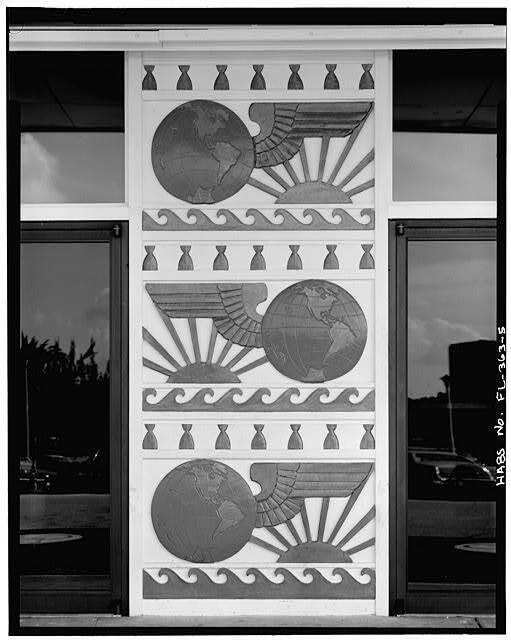 They were chosen by Pan Am to work with the airline’s airport engineer Fred Gelhaus to design the airline’s first airport – Miami’s 36th Street Airport, which opened in January 1929. They came with a stellar reputation among an influential set of customers in the New York City area. They were sought after to design club houses and mansions for wealthy clients such as John D. Rockefeller – just the sort of people who would likely become passengers on the evolving generation of luxurious flying boats that Pan Am was putting into service in the 1930’s. William Adams Delano and Chester Holmes Aldrich had met while apprentices in the late 1890’s at a prominent architectural firm, while still students at the Ecole des Beaux-Arts in Paris, and were tasked with drafting the plans for the winning bid for the soon to be constructed New York Public Library. After they both graduated, they formed their own firm in 1903, and were soon winning bids for some very important jobs. One of these was the design of the new home for Gertrude Vanderbilt Whitney, sculptor and great grand-daughter of “Commodore” Cornelius Vanderbilt. She was also the mother of Cornelius Vanderbilt “Sonny” Whitney, who as a confidant to Juan Trippe during their school days would become intimately involved with Pan Am’s early development. 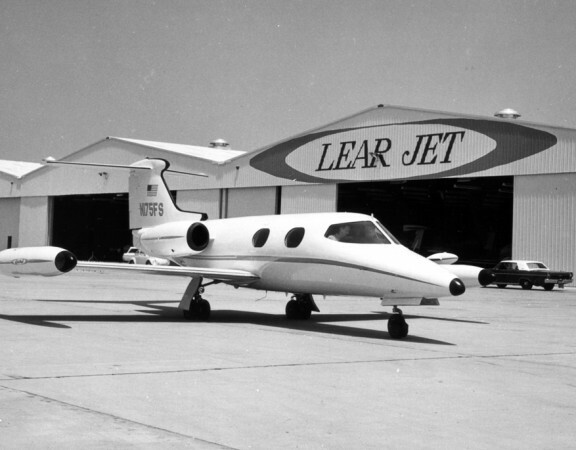 Perhaps it’s this connection that led to Pan Am’s choice of Messrs. Delano and Aldrich for their new terminal in Miami. 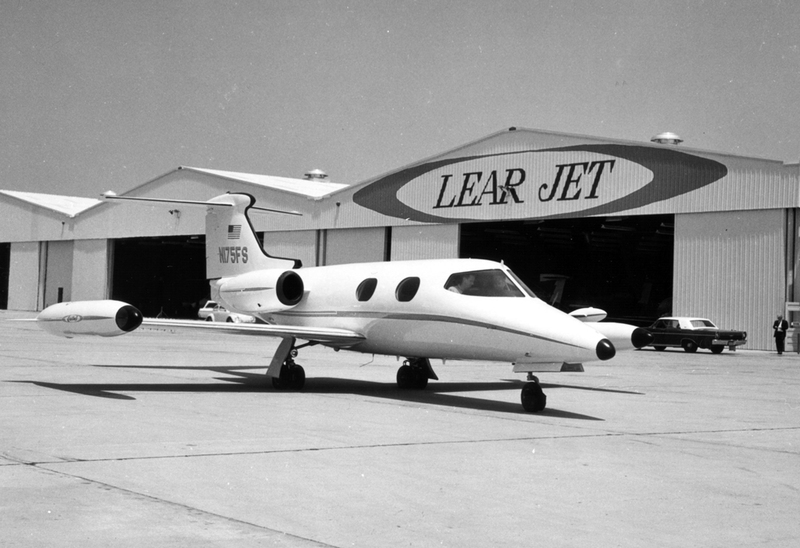 When the airline began to need more facilities to handle the growing expanse of routes and terminals, Delano and Aldrich were a natural choice. Their first seaplane base for Pan Am was Dinner Key, designed in what was termed the Streamline Moderne style. 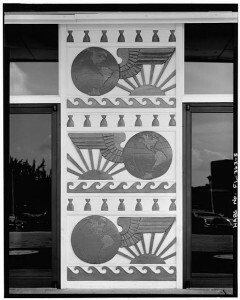 In keeping with their approach in designing so many other buildings, Delano and Aldrich thought that the interior design should reflect the motif employed in every other aspect of the design, and so the building was graced with a myriad of design embellishments which has earned the Dinner Key Terminal an enduring place in architectural design history. 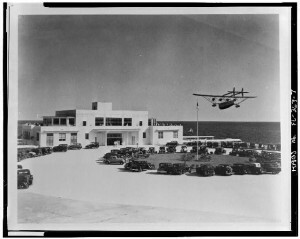 The terminal was dedicated in 1934. 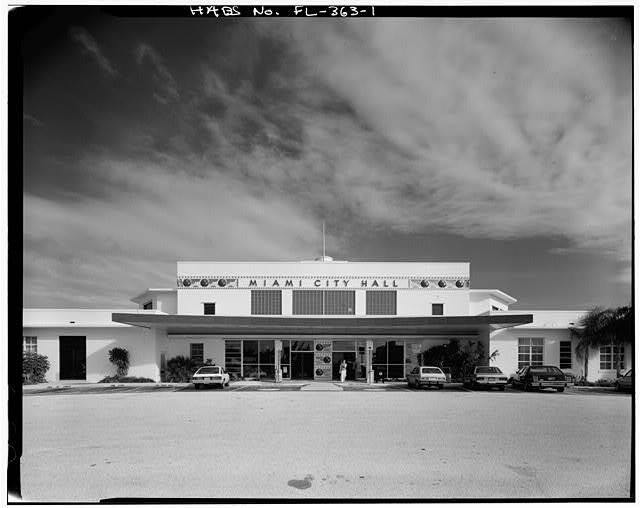 In 1974 the Dinner Key Terminal was named to the National Register of Historic Places. The terminal building now houses Miami’s City hall and the interior paintings and architectural details have been restored and maintained to reflect the design from the time of Pan Am’s flying boats. Heisenbottle Architects and EverGreen Painting Studios undertook the work, which was completed in 2002, just in time for the 75th anniversary of the founding of Pan Am. Today the decorative elements of the original terminal once again have their original appearance including the ceiling, wall murals and beams. The ceiling consists of panels depicting the signs of the Zodiac, and the beams supporting the ceiling are decorated with stylized wings and bands in the Pan American colors. 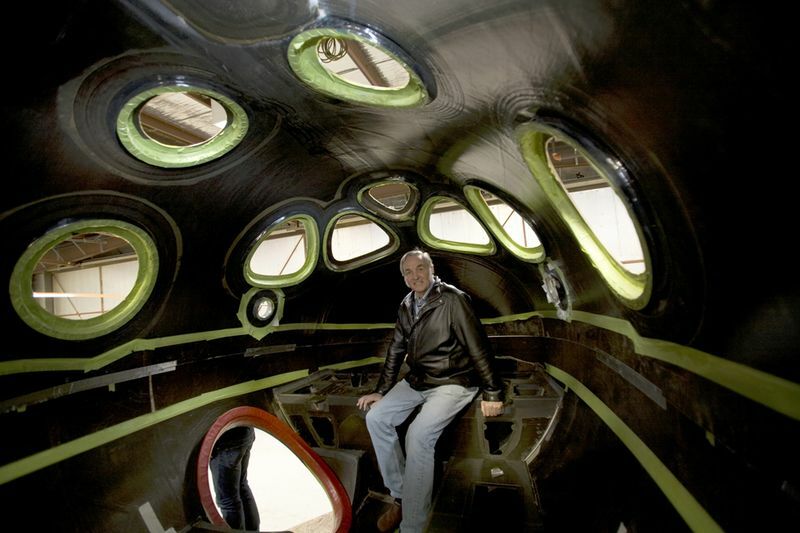 The murals near the ceiling that depict the history of flight all have been restored to their original state. 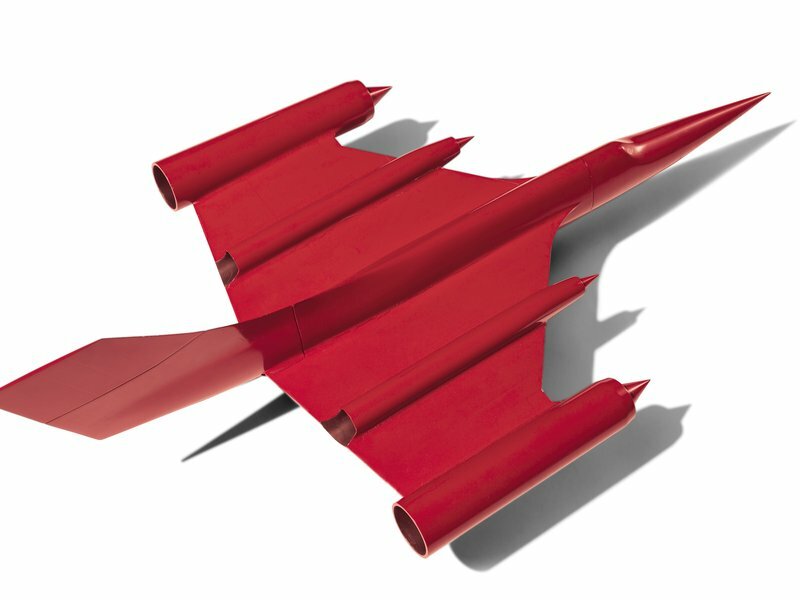 Designs depict a range from Leonardo Da Vinci’s aeronautical designs to the modern Clipper planes used by Pan American World Airways. This was an intricate part of the restoration process as all acoustical tiles from within the ceiling coffers were removed (they had been glued on in various layers throughout the years) which in turn exposed the original design for the painted zodiac symbols. Below are a few pictures that I found on the Library of Congress site which you might find interesting and I would recommend doing a little research on your own…you may be amazed at the information that is available on this and other related subjects. Have a good weekend, enjoy time with family and friends, and remember to enjoy a little quiet time for yourself.